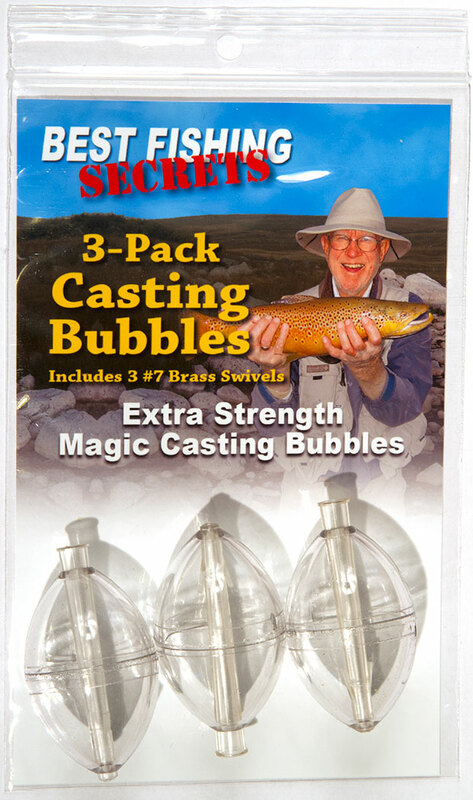 Best Fishing Secrets’ Extra Strength Magic Casting Bubbles are the only bubbles you'll ever need. Use them as is to fish the surface. Or, fill the bubble part way — or all the way — and fish at different depths. Three #7 brass snap swivels are included. Made in the USA! The strongest, most water tight bubbles made. Fill the bubble with one hand. Bubble stopper ALWAYS inserts with a tug on the rod. We currently sell all of our gear on Amazon, where you can get the lowest price, fast shipping, and the best on-line transaction security. All of our Bubble packs include complete instructions on how to spinfish with a Fly & Bubble casting rig, including attaching the bubble, swivel and fly using a clinch knot. 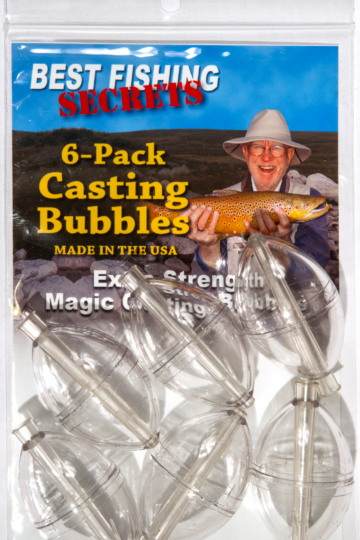 If you’re looking for a complete rig, check out the Fly & Bubble Casting Rig. You can also purchase the 6-Pack of Bubbles for added savings.